"Right now, with so many crazy things happening in the world, we are all looking for a savior. We have lost hope in our government, in our families and our marriages. Certainly we need a hero now more than ever, and that hero is Jesus"
He is many things, to many people, and his talents are diverse. 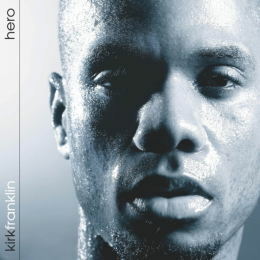 Whether you call him the church boy wonder, contemporary Gospel pioneer or a hip hop maestro, all ears are perked for Kirk Franklin's Fo Yo Soul Entertainment debut, as he launches his own record label with Hero. With the name recognition that he has, and with built-in expectations being what they are (immense), getting into this album is akin to sampling a sumptious buffet. You want to experience it all, but you know you can't at least not in one sitting. Trying to digest all 20 tracks in one play-through is simply ludicrous to even consider. The musical styles are all over the map, yet the whole is unified. The range of musical guests is astounding, but there's nothing disjointed about it, when it's all said and sung. The title cut, "Hero", featuring Dorinda Clark-Cole, sets up the theme of the album, presenting Jesus as deliver, provider, protector, Saviour hero. With the orchestras of Clare and Brent Fischer moving underneath rising torrents of vocals, Franklin uses the piece to present the Gospel, bringing in the Blood, Jesus' atoning sacrifice, his physical and bodily resurrection, thereby providing us with New Life in Him, as he 'saved the day'. By the time Clark-Cole enters to tear it up, the cut has morphed into a traditional drive, and then fades with reflective piano cycling. "Imagine Me" is perhaps one of the choicest cuts on the disk. Opening with tight, subtle dry rhythms and a rollling piano loop from Shaun Martin that leaves the head slightly tilted sideways in the simplicity of its melody. Franklin's backing vocalists impart sweet vocals to the cut, as he drops his patented sing-song, raspy flow over top. Orchestra kicks in mid-song, with a fine violin solo from Brent Fischer featured to boot. Dedicated to, as Kirk says, "people like me... those that struggle with insecurities, acceptance and even self-esteem... imagine God whispering in your ear,letting you know that everything that happened is now gone' Every sin, every mistake, every failure, it's all gone... by faith". As gorgeous as the music is (and it truly is), it is the lyrics that set this piece apart. The epitome of a Gospel song in its message, it's hard to get enough of it. Got Flash? Turn up your computer audio and check out the latest in our series of audio-digital animated Flash cards. Click on the above image to experience the CD. You need Flash 6 software to see the Flash card. If your computer does not have it installed, get the free download by clicking on the adjacent Flash icon. The lead single, "Looking For You", is all that and then some pure groove, pure smash and pure Franklin. Sampling a delicious Patrice Rushen groove ("Haven't You Heard"), the piece is an uplifting jam in 70's style. 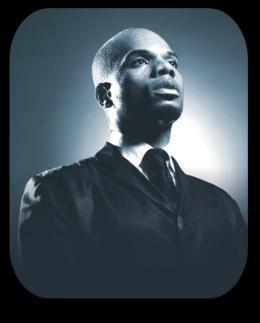 As he has shown throughout his career, Kirk Franklin is a master of taking segments of popular culture and turning them on their ear, delivering sanctified, sunny praise that just cries out for non-stop head bob, feet bop and body move. Franklin mixes it up with J.Moss and Tye Tribbett on the stepper's dream, "Could've Been Me". This is a gratitude cut, that brings in screaming, jazzed horns, percussion from Sheila E, guitar from Doc Powell, and an unreal 'can't-quit' street-worthy dance drive. Stevie Wonder guests on "Why", an old-school cut that asks question after question after question, building to the ultimate query, 'when is our change gon' come?' Then, with a sample of Deniece Williams' "Free" deftly spliced in, Wonder and Franklin point to Jesus as being the only answer to all the listed dilemmas. Judicious horns, minimoog and Hammond B3 foster that recognizable Wonderful vibe. tobyMac and Sonny Sandoval (of P.O.D.) work together on the chorus of "Let It Go", integrating Tears For Fears' smash 1985 synth-pop hit "Shout" into Franklin's soft, autiobiographical semi-rap. The cut delivers a unique vibe that somehow taps into elements of hip-hop, pop, rock and classical music, without ever letting it sound contrived, and making it one of the album's most distinctive, powerful and unforgettable segments. "Sunshine" instantly brought the dance out in all kids under the age of 7 in this reviewer's home, as the Randy Crawford mega-produced sample ("You Bring the Sun Out") and the Jennifer Holiday loop ("Say You Love Me") fill out this piece of praise draped in layers of gorgeous soulful pop. "Brokenhearted" rides softly on meditative organ and the call-response of Franklin and his backing vocalists, setting up a church service feel. Pastor Marvin Winans then softly enters to emphasize Jesus' incredible offer to make us whole. Taking things up a notch, and then another, Winans and Franklin trade their praise lines, touching on His grace, forgiveness and love, that He continually offers to everyone who will believe. Among other high points are the upbeat "Keep Your Head" (with its Earth, Wind & Fire interpolation) and the sweet, piano-accompanied balladry of "Afterwhile", which Franklin uses as the perfect vehicle to showcase his Hopeville co-star, Yolanda Adams. In a nutshell, with Hero, Franklin has done the incredible by exceeding expectations that many thought couldn't be met. It's not just the music, it's not merely the lyrics. It's the combination of both from an artist who continues to move the bar for musical ministry even higher. This is one buffet you'll find yourself going back to again and again. All content in GOSPELflava © copyright 2005. No information to be reprinted or re-broadcast from this site without the expressed written consent of GOSPELflava.com. All rights reserved.